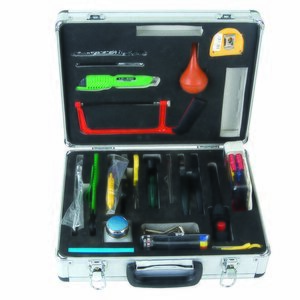 High quality tool kits for service and maintenance of the fiber optic networks. 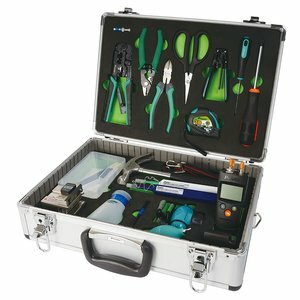 These tool kits can be used for stripping of the single / multi mode fiber optic cables, crimping of the connectors, evaluatingas well as evaluating the fiber loss. A set of tools in a case for optic fiber network maintenance. 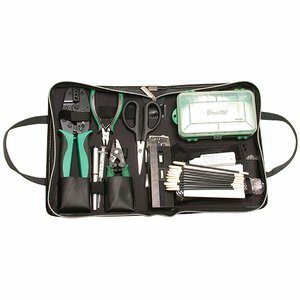 Includes cable strippers, cutters and other tools required for work with optical cable. Professional set of tools for maintaining fiber optic networks. 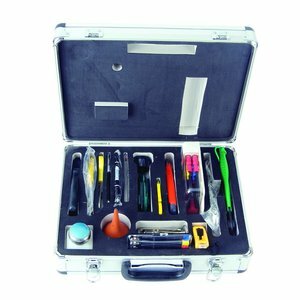 Tool set include: strippers, pliers, screwdrivers, wrenches and many more accesories for fiber optics. Includes 4-in-1 fiber optic power meter, 1.25mm/2.5mm cleaning tool, fiber stripper, drop cable stripper, kevlar scissors, fiber optic cleaver, 6P/8P crimper, LED head light and more.